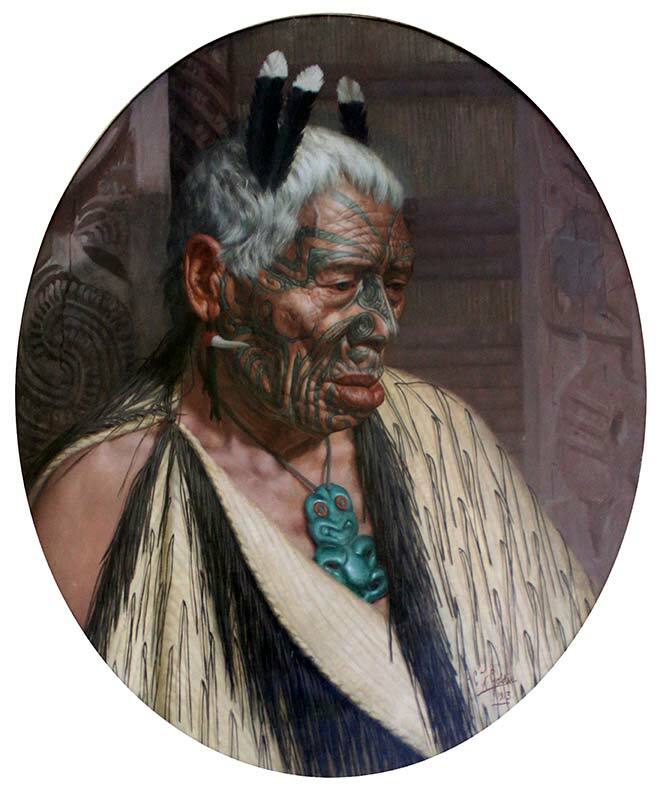 Charles Goldie's portrait of Tumai Tawhiti, completed in 1913, reflected the prevailing view that Māori were a 'dying race' – which is also suggested by the title Goldie gave the painting. This encouraged a romantic sentimentality towards Māori from the end of the 19th century. Looking for a distinctive New Zealand form of cultural expression, a number of Pākehā painters, poets and novelists focused their work on Māori subjects. Goldie was perhaps the best-known of these, but they also included the poet and novelist Arthur Adams and the journalist and historian James Cowan.